So I’m a few days late with this one but oh well! Every year I love going back in my analytics and checking out what my most popular posts were. You can catch 2013’s here. 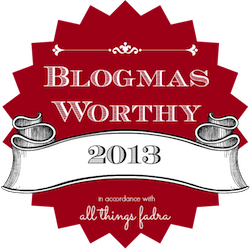 This year many were the same – sheesh should I really just write about random things? 😉 But there were a few new ones thrown into the mix! Check out my blast from last year and see what people were reading on The Vintage Mom! Do you have a favorite post that you read on the blog that isn’t listed? Tell me in the comments! I’d LOVE to hear! Mama H’s best recipe to date (in my opinion) and the BEST vegetable soup you will ever eat. I promise! <–just check out the comments on the post. If you haven’t tried it yet, you absolutely must! My lovely friend Barb from A Life in Balance wrote this one (heck, I should thank her like every day!). It is a great one if your kiddos love rainbow looming. Some awesome tips on how to frugally keep up with this hobby! 3. Jockey Classic Contour Bra <– What?! Hilarious! I wrote this post when I was testing out the new fitting system from Jockey. It is my most watched video on YouTube. I don’t even want to imagine what people are searching for! Now the fact that this post ranks in the top 10 makes me smile. It is a book/journal that I just adore writing in and each and every year it makes me smile! Creating subway art is such a fun and easy project. It is a great way to decorate for the different seasons without spending a lot of money! One of our favorite date nights is sitting around with fondue. The conversation, the way time passes so slow – it is a great way to be together. Oh and clearly the food is delicious too! These are some great recipes! Ben just asked me tonight if we could have this on the meal plan next week. Everyone loves this – especially with homegrown produce in the summer! This is an oldie but goodie! We always have fun with yogurt cups! And now that we have a greenhouse, we’ll take yours too! Stay tuned for many more composting posts as we have some good things going here in MA! And now, it’s the perfect time to start! Best burgers ever! And vegan too. I make these in batches in the summer and store them in the freezer. A delicious, healthy alternative to the real deal. I’m looking forward to trying those mushroom veggie burgers!! I’ll let you know how they come out!! Yay! You’ll love them Danielle!